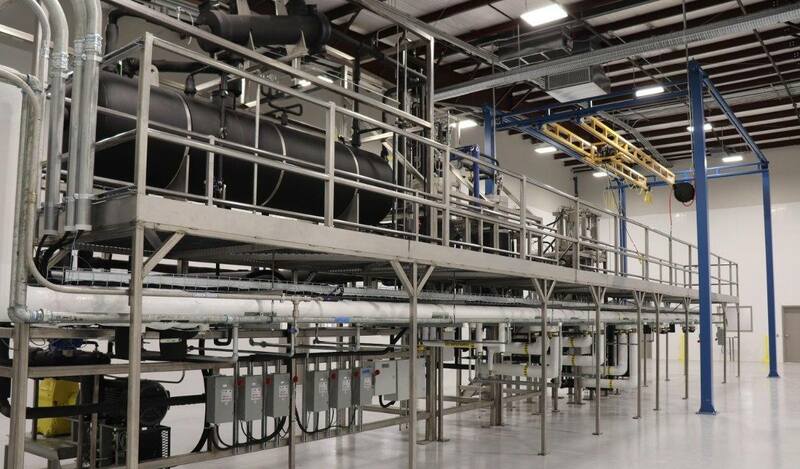 Pyxus International, Inc. announced last week the opening of its affiliate Criticality LLC’s industrial hemp extraction and purification facility, which has been established in Wilson, North Carolina. The 55,000 square foot facility will be used to produce Criticality’s line of cannabidiol oil (CBD) products, as well as develop new products in its innovation pipeline. The technology used at the plant is supercritical carbon dioxide extraction. Pyxus has its eyes on becoming a leader in the production of CBD and related consumer products. “The opening of the facility is a critical step in achieving that goal and is a glimpse of what’s to come in the future,” said Pyxus President, CEO and Chairman Pieter Sikkel. The industrial hemp sector in North Carolina is still very much at its early stages, particularly when it comes to cultivation of the crop. Back in 2015, we reported on legislation signed into law that authorised an industrial hemp pilot program in the state, making it the 14th U.S. state at that point in time to do so. The first crop, a test plot planted by North Carolina State University Extension researchers, was harvested in August 2017. That was a successful exercise, with all grain varieties trialed exceeding expectations on yields. Currently the state has 634 licensed farmers cultivating hemp on approximately 8,000 acres. While the 2018 Farm Bill legalised hemp, the FDA and USDA are very much still in the process of developing guidelines and this status will continue to influence North Carolina’s program for the time being. “It is important to note that while these federal agencies are working on regulations to implement the 2018 farm bill the industry continues to operate under the provisions of the 2014 farm bill,” states a recent post from the University. The 2014 Farm Bill contained provision for the crop to be grown via research projects overseen by state departments of agriculture and universities. This has been interpreted and applied differently in different states – and in the case of North Carolina, it means it’s still going to be quite some time before industrial hemp becomes a common sight in farmers’ fields across the state.